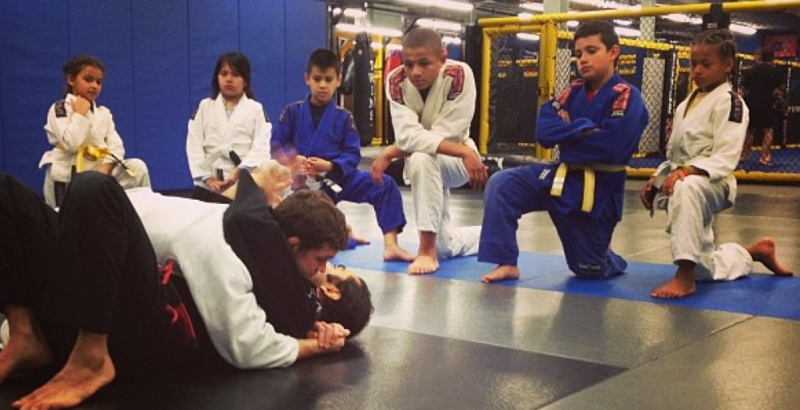 Beginner Kids MMA | Mixed Martial Arts Program Classes Enrolling Now! At Roufusport MMA | Mixed Martial Arts Academy we provide a unique, in-depth, level based program that teaches children (ages 4+) to take advantage of the natural way their bodies move and react, while instilling in them important, life building skills necessary to successfully navigate one’s way through today’s fast paced world. At Roufusport your child’s safety is our main concern, that’s why our youth mixed martial arts program teaches kids how to protect themselves using a proven system based on Carlson Gracie Brazilian Jiu-Jitsu. Jiu-Jitsu literally means “gentle skill” or “gentle art,” and is an excellent entry point for your child’s introduction into martial arts. Roufusport offers the best youth MMA | Mixed Martial Arts instruction in the world that is an affordable, fun and important part of your child’s early stage development. Roufusport’s kids MMA classes start children as young as 4 on their martial arts journey with instruction in the exciting and powerful martial arts of Jiu-Jitsu, Pankration, Grappling and Wrestling under the supervision of world champion Carlson Gracie Black Belt Professor Daniel Wanderley. At Roufusport, we realize that each student possesses very different abilities, as such, classes are taught with your child’s physical and mental wellbeing given the utmost attention. Roufusport Academy’s Youth MMA | Mixed Martial Arts program instills in our students the strong base and foundation needed to successfully communicate and navigate through today’s dynamic, demanding and sometimes dangerous society. Our Kids MMA program of classes in Milwaukee gives your child the ability, wherewithal and self-control to handle life’s threatening situations while building a strong foundation of self-confidence. This conscience will enable your child to develop a calmer and more tolerant disposition to be able to interact with other kids. 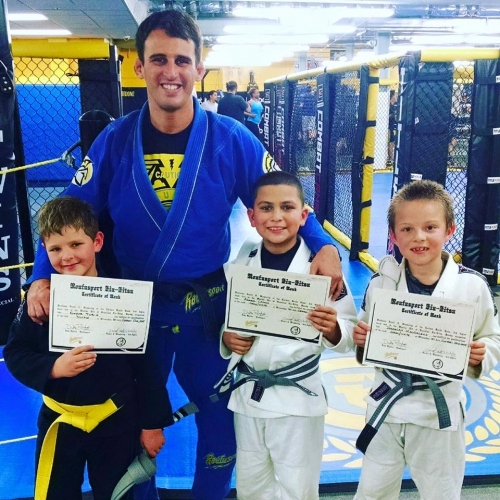 Each of our fun and exciting Kids Mixed Martial Arts classes consist of physical exercises, self-defense techniques and educational games. Our methods will develop your child’s coordination, agility and flexibility in a fun and safe environment. To learn more about Roufusport Kids MMA | Mixed Martial Arts Program, simply fill in the Request More Information form in the upper right or below and one of Roufusport’s helpful and friendly staff will contact you, OR get started right away by clicking on Roufusport’s Kids MMA Program Trial Special below which includes a FREE Martial Arts Uniform ($90 value) and 5 Classes for only $39.99.